Greece may miss a deadline for a deal with creditors this week, as the parties haven’t made any progress in talks, Bloomberg sources close to the negotiations said, accelerating fears of an Athens default. Greece remains too far from striking a debt deal with its international creditors, unnamed sources who wished to remain anonymous told Bloomberg. Last week German Chancellor Angela Merkel and French President Francois Hollande set a target to reach a deal by the end of May. As the stalemate in negotiations drags on, Greece is losing liquidity and the economy is being pushed deeper into recession. Deposit withdrawals are growing rapidly, and inability to make debt payments have aroused new doubts about the country’s ability to stay in the eurozone. However, the European Central Bank (ECB) have left the level of €80.2 billion emergency cash available to Greek banks unchanged from a week ago, said two sources. Athens hope to reach a settlement by June 5, when the first IMF payment of almost €1.6 billion, due next month, is to be made, Greek Finance Minister Yanis Varoufakis said on Tuesday. The US will urge its G-7 counterparts to find a pragmatic solution to the Greek question, said US Treasury Secretary Jacob J. Lew on Wednesday in London. 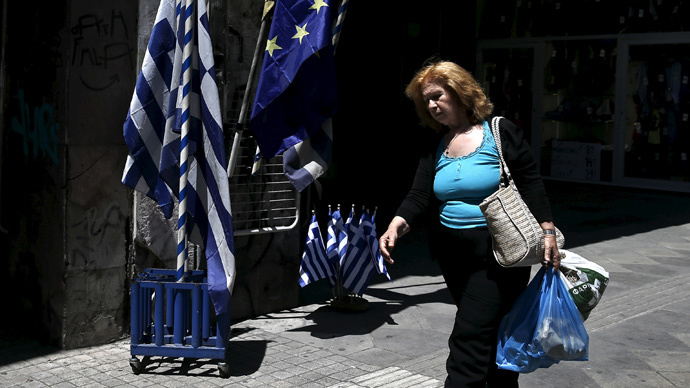 Greek officials are meeting creditors on Wednesday in Brussels in an attempt to reach a settlement. Last week, Greek Interior Minister Nikos Voutsis warned the country wouldn’t be able to pay the next €300-million installment to the IMF on June 5 if it didn’t receive additional assistance from lenders.